Safe Haven (SHA) - The most promising project in the VeChain ecosystem? Safe Haven (SHA) – The most promising project in the VeChain ecosystem? Safe Haven has been around the crypto world since late 2017, but is unlike many other projects that are focused on hype & buzz. In the past two years, Safe Haven has been diligently working on building products and services customers actually want to use. In fact, Safe Haven delayed its token sale for quite a while (due to the bear market), but eventually held an incredibly successful one in late 2018. Since then, Safe Haven has pivoted from Ethereum to VeChain, added new partnerships, released various parts of its platform, and more. Since there has been many changes and much progress, let’s dive in and take a deeper look! Safe Haven’s Token Generation Event (token sale) started on October 8th, 2018 and primarily targeted the VeChain community. Users could exchange VET for SHA at various rates depending on the round one participated in. Initially, Safe Haven started out in the Ethereum ecosystem and was primarily building an inheritance platform for digital assets. So for example, if something ever happened to you, your family or loved ones could recover your cryptocurrencies. This is still an important problem that Safe Haven wants to solve, and now the vision has expanded to also encompass other related issues facing the world of digital assets. Safe Haven will build various products and services integrated with their platform under the broader umbrella of “crypto asset management.” Their tools will target both businesses and consumers. Safe Haven’s switch to VeChain created several benefits. Safe Haven has become intertwined with other companies in the VeChain ecosystem and are building asset management solutions that many other VeChain projects will utilize. Guaranteed adoption of one’s platform is always positive news for a young company. And personally, I’m not sure they would have gotten the same amount of support and access from a much larger ecosystem such as Ethereum. There are many parts of the overall Safe Haven vision, but I want to touch on 3 critical ones – the Share Distribution Protocol, the Trust Alliance Network (TAN), and masternodes. Without getting too technical, the Share Distribution Protocol is the nuts and bolts behind the Safe Haven Inheritance platform that Safe Haven was initially known for. It’s basically a set of smart contracts that defines rules, so digital asset shares (your crypto coins) can be encrypted and distributed to different people who protect it for the user. This enables many types of arrangements such as a digital version of an inheritance plan. 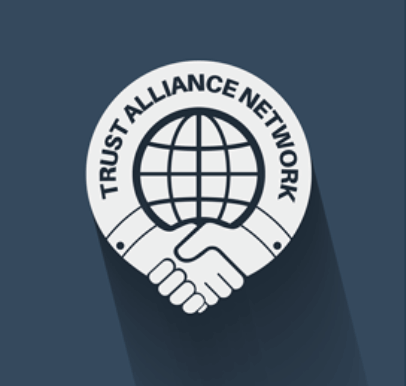 The Trust Alliance Network acts as the bridge between the decentralized world of crypto and the real-world that is still ruled by written law. In my opinion, this approach is smart and realistic because many ultra-decentralized projects have found out that real-world laws and regulations can still affect what they are trying to do. TAN will be a separate platform from the Safe Haven platform, but it will be deeply integrated. In essence, it is a social network that will connect legal entities with crypto users and can help facilitate various products and services. For example, if someone wants to set up a “digital will” using Safe Haven’s platform, they can reach out to a notary available through the TAN to help complete the necessary steps of the process. Utilizing the TAN means their precious digital assets will be fully protected with technology and under the law of their country. The Safe Haven team has announced they will add masternodes to their overall platform, but they haven’t shared much else so far. These will be important to governance of the overall SHA ecosystem and most likely they will require locking of SHA tokens to run one. The team has said they will release a mobile app that shows the masternodes in action, so we should stay tuned in the coming weeks. As mentioned earlier, Safe Haven is building out a bunch of different solutions to help facility “crypto asset management” in a broad sense. I will only touch on a couple of my favorite ones, but do note there are several more in their plans. The Inheritance Platform is Safe Haven’s flagship product. Basically, it allows you to divide up private keys, passwords, documents, or any arbitrary digital asset into “shares,” which will then be distributed to “shareholders” that you designate. You can do this with the help of a “validator” from the TAN, which handles most of the process for you and makes sure that it’s all backed by legal measures. Finally, there are many pre-set options you can utilize here – you can split your shares among your family members, business partners, investment peers, or even some arbitrary entity. This is an already active solution, which basically manages pooled token funds. One obvious use case is for token sales, and ThorBlock v1 was utilized for exactly this – its “Community Pool” feature was used to manage the Plair public token sale. Future versions will support more complex functionalities like crowdfunding, charity, token swaps, multi-wallets, etc. One thing I want to note is the branding similarities with VeChain Thor. The Safe Haven team is indeed helping build out solutions that the whole VeChain ecosystem can utilize. So basically you’ll have members from all parts of the ecosystem interacting with each other and utilizing SHA in the process. Please note that SHA is a VIP-180 token, meaning it is based on a common VeChain standard much like ERC-20 tokens are based on a common Ethereum token standard. When cryptocurrency projects are trying to increase adoption, establishing meaningful relationships with other companies and groups is imperative. Safe Haven team understands this concept and has acted accordingly. 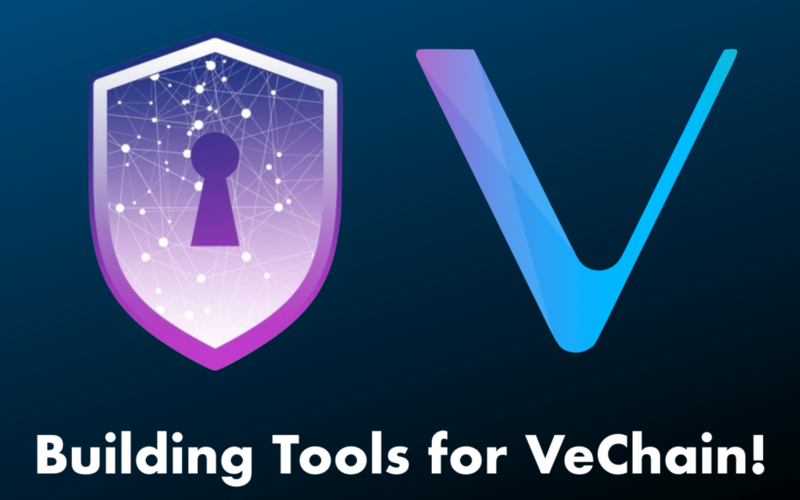 First and foremost, Safe Haven officially partnered with VeChain when they made the switch from Ethereum. This partnership benefits Safe Haven greatly because now they have access to a wide business network, resources, and assistance from the VeChain core development team. Safe Haven will also help lift the VeChain ecosystem by building asset management solutions that other VeChain-based projects can utilize. The second partnership I want to highlight is with Plair – a VeChain ecosystem project in the blockchain gaming space. In fact, Plair utilized Safe Haven’s ThorBlock v1 to execute their token sale (which went very smoothly). Plair will also integrate Safe Haven’s wallet management solution into their platform to guarantee their users a hassle-free experience when interacting with that part of their platform. Finally, Safe Haven has been traveling internationally to find business opportunities in more traditional sectors, such as finance. 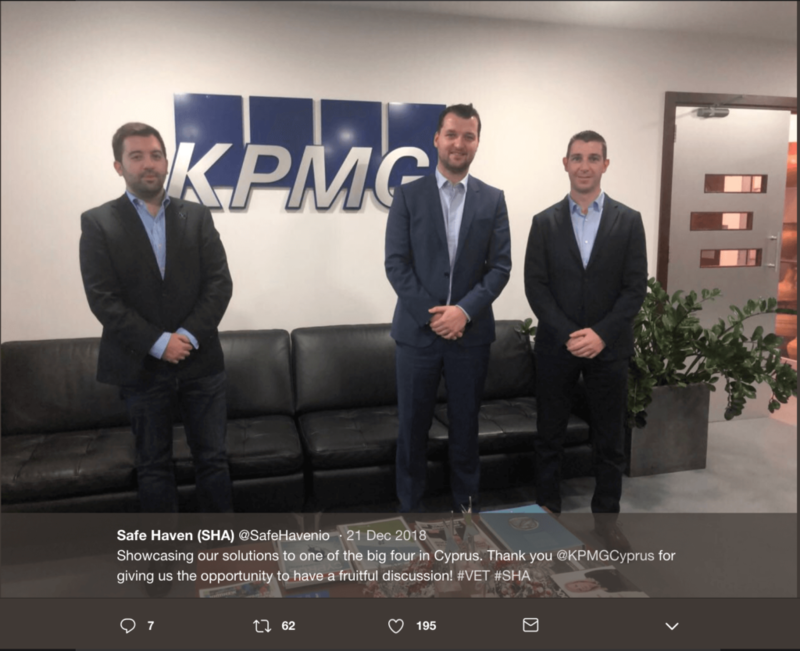 Specifically, they went to Cypress in late 2018 to visit and pitch KPMG Cypress, Cypress’ SEC, and Invest Cypress. While these talks are early and nothing official has been signed yet, it is promising because Cypress is ardent to transform their financial sector using blockchain. Hopefully, Safe Haven can contribute to that transformation by offering their solutions and support. 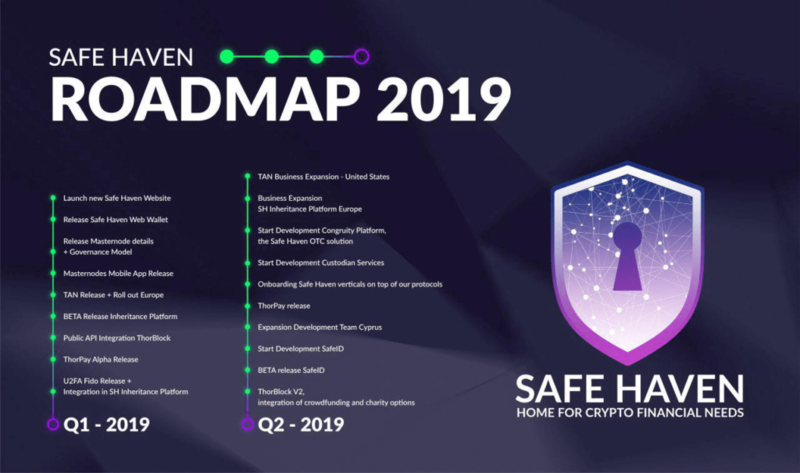 The Safe Haven team released an in-depth roadmap at the end of 2018. Below is an image with all of the deliverables they have on the roadmap for the first 2 quarters of 2019. Their roadmap is highly ambitious as it is packed with various deliverables. However, they have already finished some of those – the launch of their new website + the ThorPay Alpha release – so it seems like they have strong momentum going and should be able to hit most, if not all, of their roadmap goals. Personally, I’m excited to see more info about their masternodes and how that fits into their governance model. The introduction of masternodes should excite the community because it allows them to actively support the project instead of just passively holding SHA tokens in their wallets. I’ll also be following along the Trust Alliance Network’s European rollout because regional rollouts of solutions are usually tough and can hit unexpected roadblocks. Overall, I think Safe Haven is a super promising project with a team that has their heads screwed on straight. They have been working hard and making a lot of progress, even during the crypto winter. They definitely are not like some of the other teams out there – all about hype and not caring about their community. I’ll be following along their progress as they continue to build out their platform and deliver on their roadmap milestones.